Pittsburgh Symphony Orchestra. Manfred Honeck, cond. 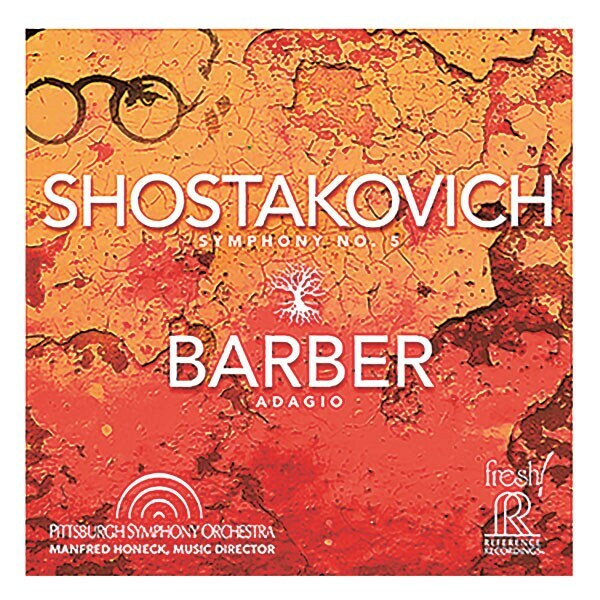 Composed under intense government pressure, Dmitri Shostakovich's 1937 Symphony no. 5 pleased his Soviet critics, even as it deeply moved audiences who recognized it as a critique of the Stalinist regime. Captured in excellent, Hybrid SACD sound, it is paired here with one of the 20th century's most beloved classical works, Samuel Barber's lush Adagio for Strings, in a vivacious, Grammy-winning live recording by Manfred Honeck and the Pittsburgh Symphony Orchestra.